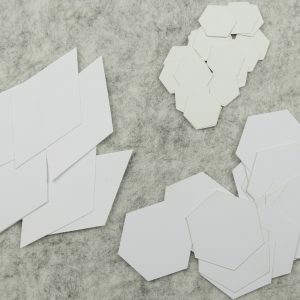 We supply ‘Direct to the Public’ a full range of Acrylic Templates and Papers for English Paper Piecing. This is the home of the KEYHOLE TEMPLATE! These can be purchased through www.mareestclairquilts.com.au where you will find a large range of reproduction fabrics as well as patterns and haberdashery. We make to order Custom Patchwork Block Sets for Designers. 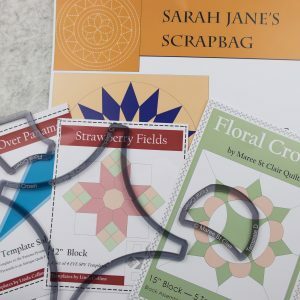 These include Acrylic and Mylar templates for Applique. Contact us for a quote and a sample! Click on the image to see some of the sets we already produce. We can custom design the covers for your template sets to reflect your company logo. We also offer a range of Children’s Name Jigsaws. 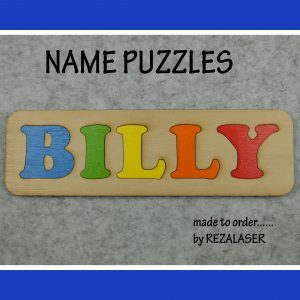 There are many options for these puzzles and any little one would love to have their name! A great birthday, baby shower or baby gift! We are a small Central Victorian company making a range of laser cut and etched products.